Consulate Health Care was founded in 1997 with a single care center. The company is now the largest provider of senior healthcare services in the state of Florida and the sixth largest in the United States. Headquartered in Maitland, Florida, Consulate operates more than 200 care centers across 21 states, providing services that include short-term rehabilitative programs, post-acute transitional care and Alzheimer’s and dementia care. Consulate’s 23,000 employees serve more than 40,000 patients annually. Over the past few years, Consulate Health Care expanded rapidly. Along the way, the company wound up with multiple conferencing tools across offices, which complicated administration and collaboration. “All cost a different amount per minute. Some had exorbitant charges. Some were reasonable but the quality wasn’t great,” explained Kurt Rodriguez, vice president of telecommunications. At the same time, the team was moving to a centralized model of IT and needed an effective way to support their systems and employees nationwide. "We need the best tools to support our caregivers as they care for our patients. That’s why Citrix is part of our continuous commitment to find the best technology." 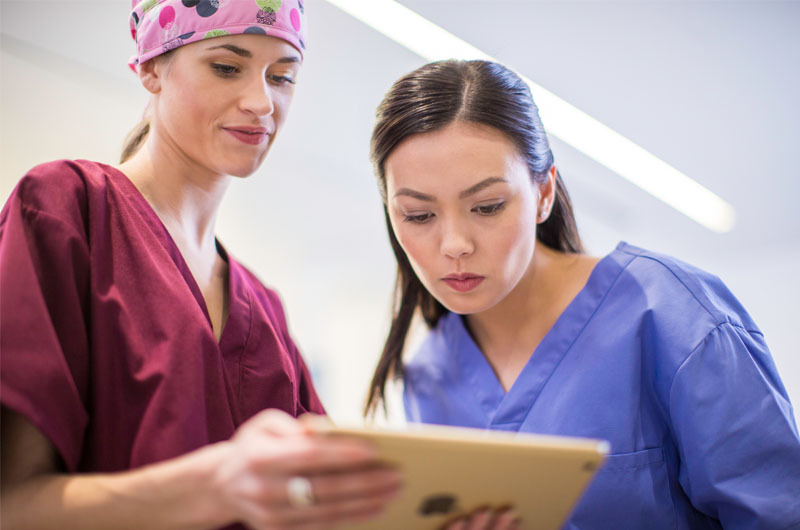 After evaluating four different products, Consulate Health Care settled on Citrix collaboration solutions for their ease of use, mobile performance and flexible pricing. “GoToMeeting and OpenVoice were our choices because they gave us everything we need,” said Rodriguez. The centralized IT team soon followed with GoToAssist to streamline support to their remote workforce. “We’re looking to Citrix GoToAssist to help us provide the best service possible,” said Mark Crandall, chief information officer. "Citrix tools enable us to provide care with our hearts in our hands, and that’s really why we all come to work every day." Teams in offices nationwide and caregivers in the field collaborate through GoToMeeting and OpenVoice to help provide the best possible care to their patients. GoToMeeting and OpenVoice offers Consulate Health Care a flexible platform where they can review usage on a quarterly basis and adjust their subscription accordingly. GoToAssist allows the IT team to provide support to their remote workforce while keeping their resources centralized, enabling the team to effectively scale for growth. The Citrix cloud-based solutions help Consulate Health Care cut down on their datacenter footprints and capital costs by reducing the need to own and update their own facilities. support for people across the country." PremierTox Laboratory is a pioneer in the reference laboratory marketplace, serving clinicians who prescribe controlled substances to treat pain as well as other debilitating disorders. The company is based in Russell Springs, Kentucky, and operates satellite labs in Tennessee and Texas. It specializes in toxicology, urine drug screening and therapeutic drug monitoring and provides services to hospitals and physician practices in 18 states in US. Founded in 2011 by a group of physicians and entrepreneurs, PremierTox currently employs about 200 people. also sets itself apart with unique technology tools and customization capability. PremierTox has always faced the challenge of geography. “We’re a state-of-the-art, multi-million-dollar laboratory located in Kentucky’s beautiful horse country, which is not just the home of our founders but also the center of the battle against drug abuse,” he said. “We’re very rural, but we have always been committed to hiring the best and brightest executives and sales staff, wherever they are located. In addition to internal collaboration, PremierTox staff make presentations to states’ governing bodies and key decision makers and interact with customers using GoToMeeting. In these situations, the company provides integrated toll-free calling with OpenVoice audio conferencing to encourage participation. “It’s important to provide a toll-free number and high-quality audio service so we can impress these audiences,” he said. The company also uses OpenVoice for conference calls that do not require screen sharing. "Having a fast, reliable server platform has a direct impact on patient services. Doctors can assess, investigate and diagnose much faster because they have patient data instantly at the fingertips." International private healthcare company, Columbia Asia, needs exceptional server and database infrastructure for its highly-advanced core hospital information system. In 2013, they redeployed this core system using Windows Server 2012 R2 and Microsoft SQL Server 2012 and helped medical staff share system data more easily and securely with Microsoft Office 365 cloud-based email and video conferencing. Now, medical consultations, specialist discussions and patient treatments all happen faster. Hospitals all over the world want to integrate health and management systems, so they can improve patient services and accelerate decision-making. The challenges are huge, however. Integrated health systems need server operating systems and databases that are not just fast, but exceptionally reliable. Clinical staffs need instant access to patient data and the ability to rapidly and securely collaborate with medical and administrative staff – wherever they are. Columbia Asia, which is based in Malaysia, has a particularly acute need for robust infrastructure. The company has a single, central, custom-built hospital information system called Care21, which manages patients, operating theatres, staff scheduling, finance and all medical records emphasizing on constricted data security systems. As Care21 is used by virtually all staff members, performance is absolutely critical. For clinical staff, improving communication and collaboration was a top priority. Doctors and other medical staff wanted the ability to access their email from anywhere and securely back up files they kept on their laptops. They also wanted desktop video conferencing and the ability to share CT scan images with consultants, so they could improve clinical collaboration and speed up decision-making. Most important of all, executives wanted to minimise risk. “We backed up hospital data, including email, every day, but the operation took 30 minutes and we could theoretically lose a whole day of data,” says Mr. Giri, Database Administrator, Columbia Asia. “Care21 was capable of doing amazing things and our staff loved it but we had to make it easier for them to manage and help medical staff maximize the usage of it. In early 2013, Columbia Asia executives decided to upgrade the server operating systems and databases at 10 hospitals and deploy new cloud-based collaboration tools. With the help of Malaysian systems integrator., Columbia Asia tested Care21 on a new platform comprising Windows Server 2012 R2 with Hyper-V and Microsoft SQL Server 2012. Besides improved performance, this also means the company could migrate virtual machines live onto different clusters and replicate the live environment in two to three minutes. New features in SQL Server 2012 also allowed the hospital to improve data backup and free up databases for more detailed and widespread analysis and reporting. “The AlwaysOn feature means I can permanently synchronise each hospital database. Consequently, the maximum amount of data lost is only 0.001% of daily inputs,” says Vijayaraghavan Yedhugirinath, Database Administrator. In addition, Columbia Asia began replacing staff members’ on-premises email with the cloud-based Microsoft suite; Office 365. Besides Outlook email which staff can access from any connected device, this includes SkyDrive file storage, so they can easily save and retrieve documents via the cloud. It also includes the unified communications tool, Lync Online, which enables staff to join video conferences and share documents live from any connected device. Latter, Columbia Asia began deploying the enterprise social tool, Yammer. This creates a social-media platform inside an organisation, and enables employees to create profiles, list specialisations, create groups and broadcast requests for information. Within Columbia Asia, staff members enthusiastically using it to broadcast status updates and share clinical information across the hospitals. “...This make a big difference to them: if our core systems are 99.99% reliable, then downtime is no longer a worry—half of their headache is gone." With a swift, problem-free upgrade to Windows Server 2012 and SQL Server 2012, Columbia Asia has made all its clinical systems safer with high security data protection, reduced the risks of data loss and improved reporting. With cloud-based communication and collaboration tools, staff members work more productively, sharing knowledge quickly and efficiently across 10 different geographical locations. Customer: Columbia Asia Sdn. Bhd. Established in Kuala Lumpur in 1994, Columbia Asia is an international private healthcare company that owns and operates 24 multi-specialty hospitals in Malaysia, India, Vietnam and Indonesia. The hospitals provide healthcare services to approximately 400–500 patients a day. In Malaysia, Columbia Asia operates 10 hospitals in Peninsular and East Malaysia. KPJ Healthcare Berhad, Malaysia’s first homegrown and largest healthcare group has chosen to implement Microsoft’s Office 365 and Cloud solutions to upgrade and modernize its overall IT infrastructure for its entire network of hospitals in Malaysia and Indonesia. 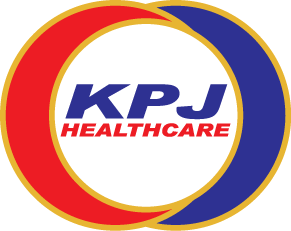 KPJ is one of the leading private healthcare providers in the region. Embarking on many initiatives to improve the quality of care for patients, KPJ faced a major challenge to identify and implement an effective IT infrastructure across its hospitals that will enable it to make vital management decisions. KPJ turned to Microsoft to overcome these challenges and found a complete end-to-end as well as cost-effective solution, employing a hybrid of on-premise and cloud-based solution. The Group will also deploy 5,200 Microsoft Office 365 and 2,800 Pro Desktop licenses across its hospital network for a truly holistic IT environment. Like many providers in today’s consumer-driven world, KPJ Healthcare strives to improve how its physicians and staff interact with each other and with patients. The organization has adopted new technologies such as electronic medical record systems so patients can view their own medical histories and doctors can share data in different facilities. Previously, KPJ communicated with a disparate mix of private-branch exchange (PBX) telephone, text messages, email, and online instant messaging from Yahoo and Google. Without a centralized collaboration environment, doctors and other staff lacked a single point of communication, which often delayed responses, compromised productivity, and negatively affected the patient experience. KPJ adopted Microsoft Office 365 to use Microsoft Lync Online instant messaging and web conferencing. With an intuitive, user-friendly interface and integration with Microsoft Outlook, Lync Online helps KPJ staff communicate more efficiently, and Lync Online interoperates seamlessly with the healthcare provider’s existing teleconferencing environment, Telehealth. As KPJ adopts other components of Office 365 such as Exchange Online and SharePoint Online, it will develop a complete collaboration environment.